Many websites need to be updated constantly. With our Self Updatable Content Managed Website solutions you have access to update your website 24/7, with no extra software needed. A back-end web based admin area, accessed anywhere in the world gives you the facility to update your website in real time. All of our CMS websites are extremely easy to use and full tuition on how to use it is included. As each one is totally bespoke to your needs we can build it exactly how you want it. 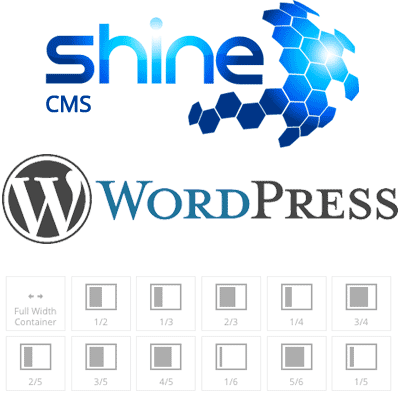 We can use WordPress or a custom built Shine CMS depending upon your specific requirements. Examples of where a self-updatable CMS website would be advantageous would be for updating Latest News, Property listings, Product listings, Events listings, Online Promotions, the opportunities are endless.